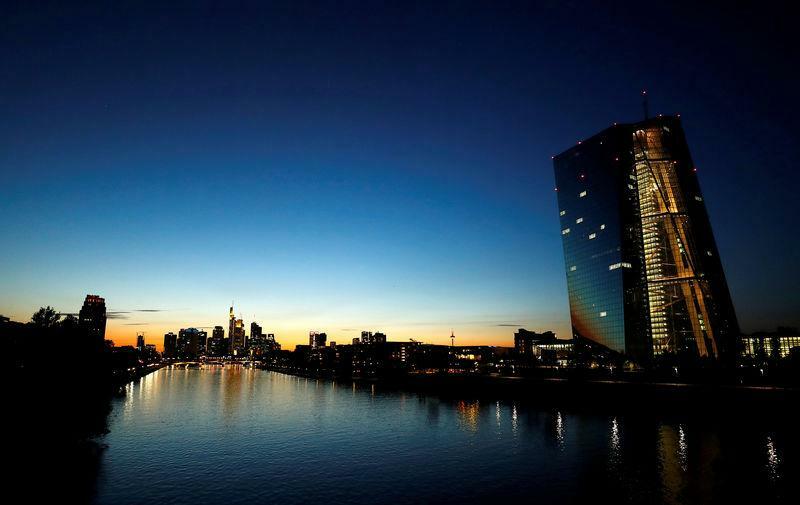 FRANKFURT (Reuters) - European Central Bank policymakers are leaning towards minimal changes to how cash is spent in the final act of their stimulus program as they try to keep edgy bond investors on side, five sources close to the matter said. With fresh purchases in the ECB's 2.6 trillion euro ($3 trillion) bond-buying scheme due to end in December, policymakers still have to finalize how and where to reinvest the proceeds of bonds that mature from January. The first issue to address is a transition to a new "capital key", a calculation of how much capital each European Union country has paid into the ECB that serves as the basis for allocating bond purchases among different countries. This geographic make-up is scheduled to be recalculated this year to reflect changes in the relative size of the countries' economies and populations. Among large euro zone countries, this should increase Germany's already dominant share and shrink Italy's. "We don't want to disrupt the bond market," one of the sources said on condition of anonymity because the ECB's deliberations are private. Another source added that the new capital key was always going to be "forward-looking" and therefore relevant only for fresh purchases. A third argued that reinvestments should be gradually adapted so that, over time, the ECB's stock of bonds also reflected the new shareholder base. All the sources said they had yet to see proposals from ECB staff on the matter and were simply expressing their opinion as the issue had not been discussed, even informally, on the policy-making Governing Council. The discussion was set to start at a Governing Council meeting on Wednesday. ECB President Mario Draghi has said in the past that country allocations under the Public Sector Purchase Programme (PSPP) should be judged based on the stock of assets already bought and not the monthly flow of purchases. Italy accounts for 18.8 percent of all PSPP bonds bought by the ECB at 361.8 billion euros. That amount is 4.6 percent more than even Italy's current share of the capital key would suggest, once Greece is excluded. This makes it the most 'overbought' country in the euro zone on a par with France, according to Reuters calculations that exclude Greece. ECB internal calculations tend to include Greece even though it has never been part of the PSPP due to its low credit rating. Under the upcoming reshuffle, governors of the euro zone's 19 central banks are also due to decide how to deal with a fall in ECB capital due to the Bank of England taking back its share after Brexit. Some countries are reluctant to chip in to plug the gap as that would mean their governments would have to forgo some of the dividend coming from their national central banks, one of the sources said. Instead, they favor leaving the ECB's capital nominally unchanged. This has been done elsewhere, including in Mexico, on the grounds that a central bank's capital is a largely symbolic notion given its ability to print money. With Britain not due to leave the EU until the end of March, this decision could be postponed, another source said. Another issue still to be addressed is whether the ECB could slow down the ageing of its bond portfolio by purchasing more long-dated paper as its existing holdings mature. This proposal, floated in the early summer and reminiscent of the Federal Reserve's Operation Twist, has run into technical constraints because some countries do not have enough outstanding long-term debt, the sources said. The ECB aims to be "market neutral", that is to buy debt in proportion to their outstanding amounts. Also, in some countries, shorter term papers have a bigger impact on the economy for example through floating rate mortgages, some of the sources said.